The time has come to say goodbye to our Champion. He is leaving Currabeg this morning as these few lines are written. His departure to Gilltown Stud today coincides with Brough Scott\'s pull out memento article on the great horse in today\'s Racing Post. We now eagerly await the book that will be published in time for Christmas! It is with a degree of sadness but also great relief that everyone at Currabeg sees him leave happy and healthy today. What a privilege it was to follow his rise to the top from close at hand. But he now starts a new life in a beautiful environment surrounded by a professional team led by Pat Downes and John Garrett at Gilltown Stud. There is concensus amongst most people in this business that there is no better place than His Highness\'s Stud to launch Sea the Star\'s stallion career from. 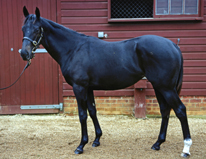 We are already looking forward to seeing his first progeny at Currabeg in 2012! One last chat with the Champion this morning! 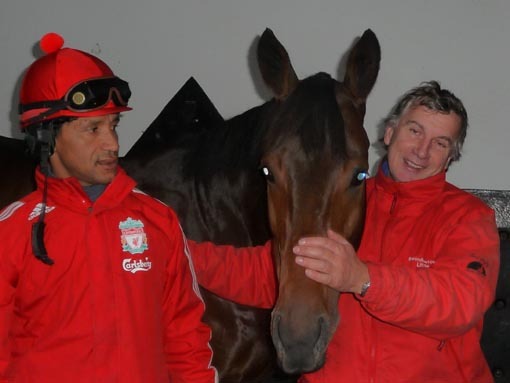 But it is not only to Sea the Stars that is leaving his familiar environment today. This is the time when stud farms have sold their yearlings to make room for the weanlings and for the 2010 crop of foals. It is also the time of year when training yards sell their older horses to make room for the new crop of yearlings that they have purchased at the Sales during the last few months. Times of change, but the wheel has to keep turning! "My" filly, Aspectoflove, that I rode nearly every day for the last six months has been sold to race in Dubai after her brave win in a Listed Race last Sunday. There is a lot to look forward to for Swordlestown Little in 2010. 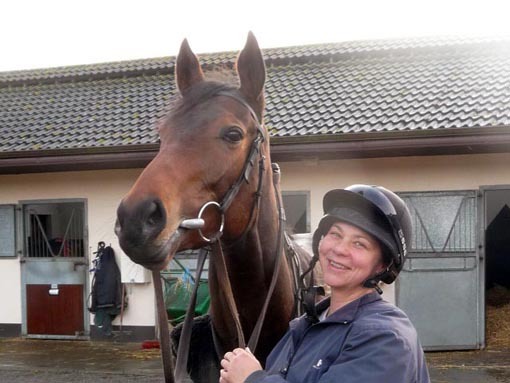 Theola, who is on holiday at Garrowby Stud at present, will continue her racing career with Mark Tompkins next year. So are Third Intention (Azamour - Third Dimension), Bobbyscot (Alhaarth - Sogno Verde), Marjustar (Marju - Stariya) and Damien (Namid - Miss Shaan), with their respective trainers. 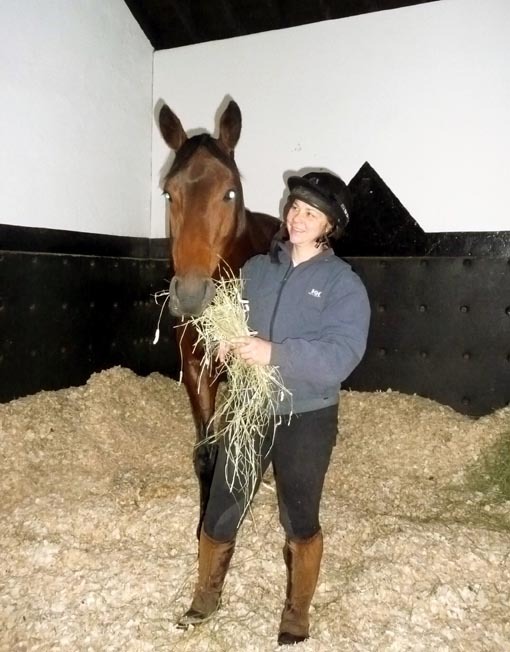 Along with Khayar (Refuse to Bend - Khatela) who has started a new life as a hurdler and the two yearling fillies, this will make for a lot of runners, and winners in 2010!. It is also great news that, for the first time, Swordlestown Little has two representatives in Switzerland next year: the 08 Oratorio colt ex Third Dimension has joined Miro Weiss and Montalvo (Gamut - Miss Lloyds) will be carrying Kay and Hanspeter Meier\'s colours on the track next year. What a year to look forward to! Stariya's Barathea filly (left) and Khatela's Invincible Spirit filly (right) have started their new life with Walter Swinburn and Richard Fahey. We are looking forward to a progress report by their trainers soon! 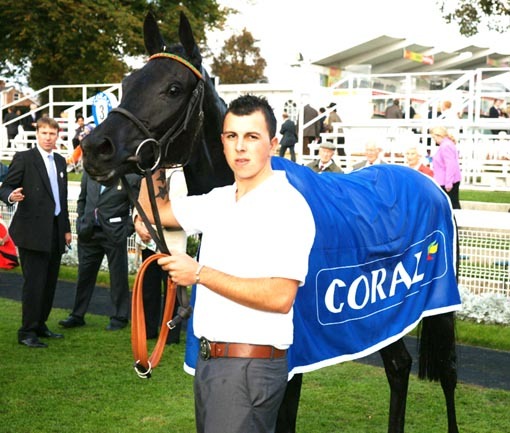 Theola after her win at York. 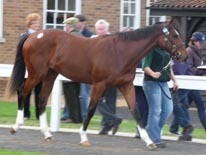 She is sure to improve and will be aimed at some nice staying races.